Bearded man in white coat talking on phone. Handsome doctor or scientist talking on cell phone. Chemistry scientist conversation. 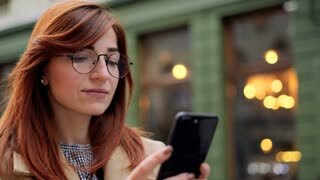 Portrait of attractive young man in the stylish glasses with head phone on the neck using cell phone for chatting with friends on the street. 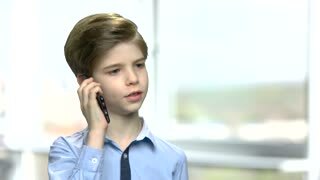 Small caucasian boy talking on phone. 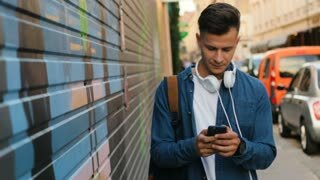 Portrait of serious european boy talking on cell phone against blurred background. Cheerful middle-aged doctor talking on phone. Happy male doctor talking on cell phone and gesturing with hand, alpha channel background. Excited middle-aged doctor talking on phone. Mature doctor talking on cell phone and celebrating victory with hand gesture. Isolated on white background. 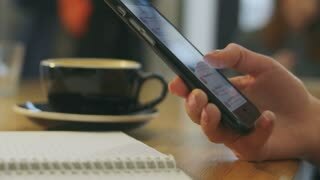 Close-up of attractive woman in stylish look walking on urban street, using modern smart phone and drinking coffee to go outside. Lady in glasses talking on the cell phone while walking on the street. Doctor talking on phone, blurred backgroud. Cheerful male physician talking on cell phone, window city background. 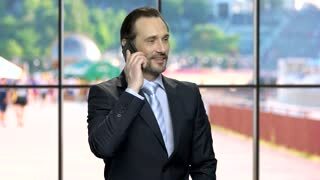 Mature bearded businessman talking on cell phone. 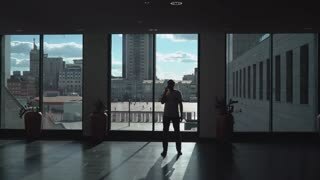 Handsome male executive or financier talking on phone. Blurred window background. 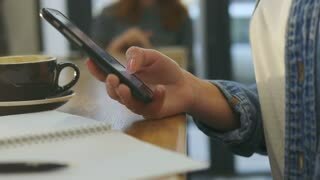 Close-up of happy attractive woman in stylish look on urban street, using modern smart phone and drinking coffee to go outside. Lady in glasses talking on the cell phone while walking on the street.